We sing, together, a lot. It’s the most central trait of what it means to be a Lutheran worship service. We sing parts of the service, we sign hymns, and we have a choir. You can expect that we will be singing, and though not all of us are good singers, that’s not the point. We believe that all voices, no matter if they are in tune, give God glory. We have communion every Sunday, and we believe that is the most important thing we do. We welcome those of any age who are baptized and all those who feel called to Jesus’ invitation of grace and mercy. We use bread and real wine, but also have grape juice and gluten-free wafers. Sometimes we have baptisms too! Every Sunday, we hear multiple lessons from Scripture, and always hear a Sermon (not more than 2o minutes, usually!). We believe that the holy words of God are very important, and give us food and energy for our faith journeys. We try to use as many voices as possible in worship, not just the Pastor. 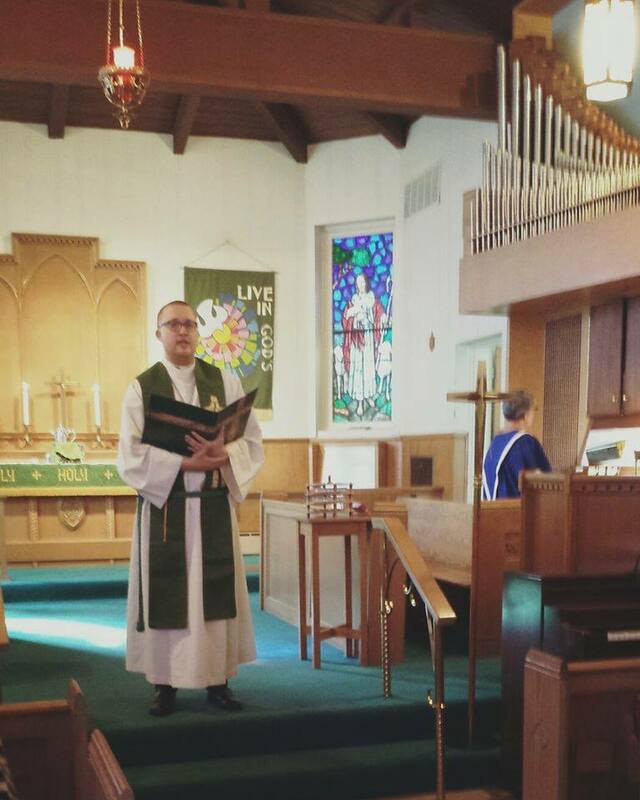 We have readers, assisting ministers, people offering prayers, and acolytes. We value symbols, special dress, colors, and words in our traditional worship. If you’ve ever been in a Catholic or Orthodox church, it will feel somewhat familiar. 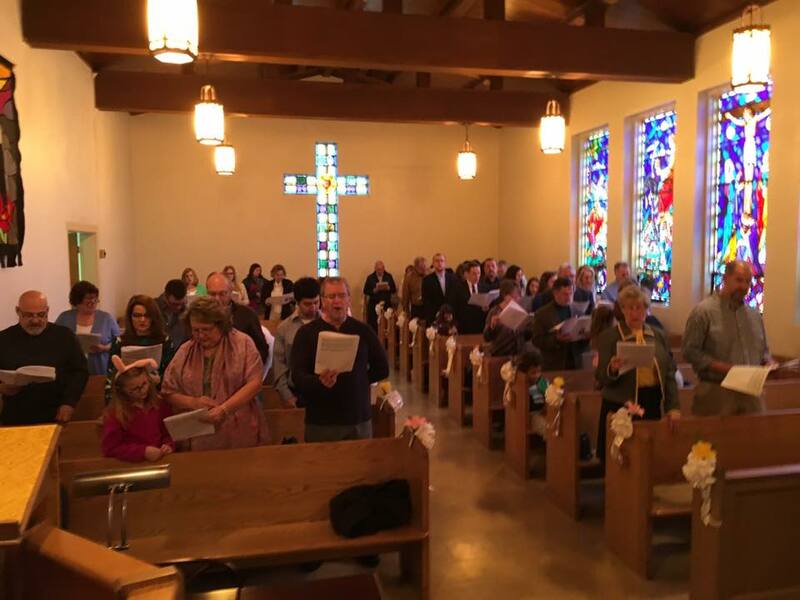 We worship in English, but for high holidays do some bilingual worship, and are in the process of developing a Spanish-language worship and community at Redeemer. We use a hymnal, a book put together that collects all of our music and services, for our normal worship. It has hymns from Europe, Africa, Black Spirituals, Latin American songs, and recent music as well. It’s pretty easy to navigate, but you can always ask your neighbor for help. We have a choir who sing every Sunday during the normal church year (not in the summer). They have a long history at Redeemer, and are always looking for new folks to sing. You should join! We use an organ as our primary instrument. Ours is small and beautiful, built by the Andover Organ Company in 1951. But we often do other music with other instruments. If you play, you should come and contribute!